As millennials continue to become the dominant force in the retail market, new research by retail and telco technology expert Conversity has revealed that this shift is having a gradual but hugely significant impact on the expectations that consumers have when it comes to customer service. The research – which polled 1,000 consumers from across the UK – found that eight in ten millennials (81 per cent) believe that receiving recommendations for relevant telco products, bundles or contracts is important, but this figure stands at 68 per cent for Generation X and 67 per cent for the baby boomer generation. Similarly, when it comes to the quality of the advice given by the telco provider when consumers shop online, 86 per cent of millennials consider this important, falling to 79 per cent for Generation X and 69 per cent for baby boomers. 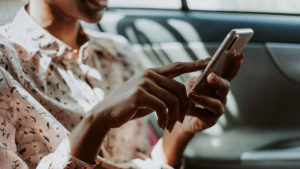 “Most of us have a general awareness of how millennials differ in their general behaviours compared to their older peers, but this research provides some powerful insights into how their attitudes affect the way they search for and choose telco products,” said Arthurton.